The Global Campaign to Reclaim Peoples´ Sovereignty, Dismantle Corporate Power and End Impunity , a global network of over 200 organizations, movements, trade unions and communities affected by transnational corporations worldwide, regrets the decision of the Supreme Court of Canada of April 4th and demanded, once again, the establishment of a UN Binding Treaty on transnational corporations and human rights. In 2015, the seven judges of the Supreme Court of Canada decided to accept jurisdiction to carry out an enforcement or “exequatur process” in Canada, upholding the legitimacy of the Ecuador Supreme Court´s decision on Chevron. 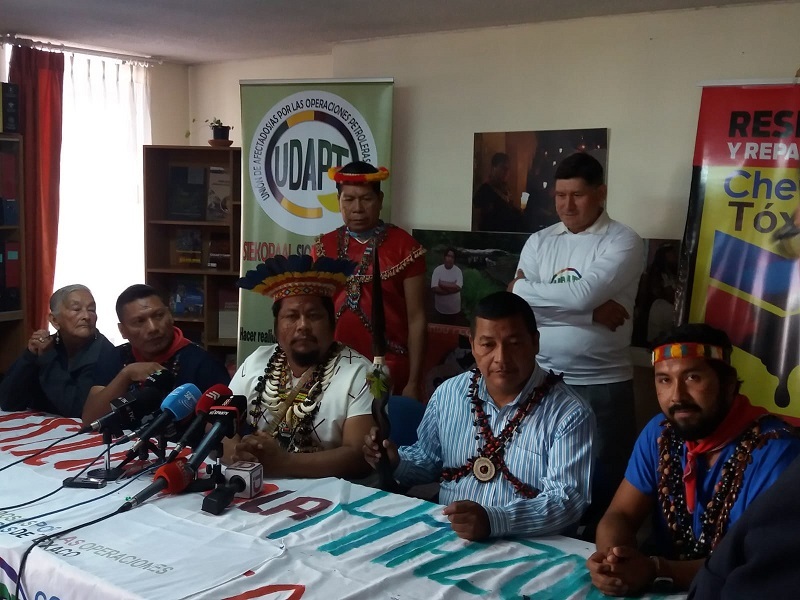 This decision brought strong hopes to the indigenous communities gathered in the Union of People Affected by Chevron – Texaco in Ecuador (UDAPT) that justice could be achieved. However on May 23, 2018, the Court of Appeals of Ontario rejected the demands of the affected people, arguing that Chevron Canada is an autonomous and independent entity from the parent company Chevron and therefore with no obligation to the Ecuadorian justice system. This represented another heavy blow for the Ecuadorian indigenous people, who filed the appeal that has been rejected today. This is what Pablo Fajardo, the lawyer representing the Union of People Affected by Chevron – Texaco in Ecuador (UDAPT), said in an interview with Real World Radio, after the Canadian Court´s decision was made known. “It is an extremely sad day for all of us. We´ve been fighting in different courts around the world for the past 25 years, and in the Canadian legal system for the past 6. After this whole battle, and even knowing that we are right, the Supreme Court of Canada rejected our appeal and practically said that there are no chances to continue pursuing this in Canada”, he said. Fajardo said that UDAPT is right in denouncing the actions of the transnational corporation “because the crimes committed by Chevron are undeniable, visible and tangible: each year there are at least 20 new cases of cancer” due to the environmental pollution caused by oil spills in the Ecuadorian Amazon, said the lawyer. He was strongly critical about the Canadian court system: “It is made to protect corporations, never to protect indigenous people and the planet”. 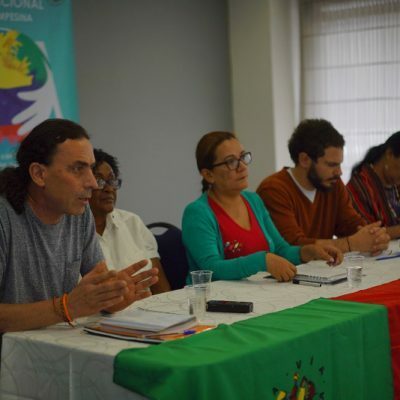 “We need to advance in the building of a new justice system that allows to try corporations for their crimes”, he added, and said that UDAPT will continue fighting for justice “because people´s lives are at stake”. It is worth remembering that Chevron´s operations in the Amazon deeply and negatively affected the lives of indigenous people, the ecosystem, water and common goods. 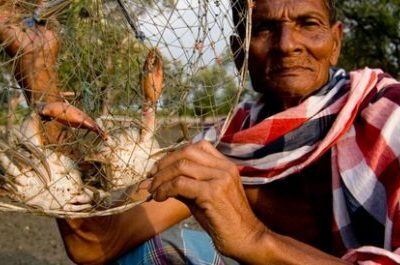 From 1964 to 1992, the company dumped nearly 65,000 barrels of oil and more than 16 billion gallons of waste water into rivers and lands in the rainforest, affecting the health and livelihoods of over 30,000 indigenous people and peasants from various communities. The atrocious consequences of its activities in Ecuador resulted in the case being known as the “Amazon Chernobyl”. 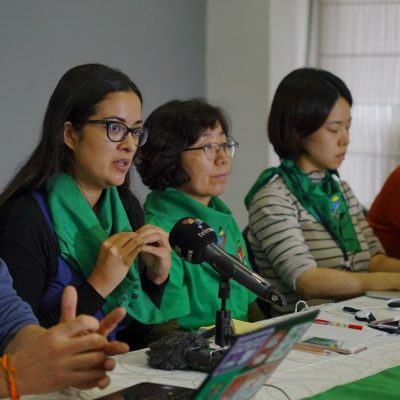 In the face of a disaster of this magnitude, UDAPT has been fighting for over 25 years and currently its goal is to achieve the enforcement of the decision of the Ecuadorian Supreme Court, so that the environmental, social and cultural damage caused by the oil company is redressed. 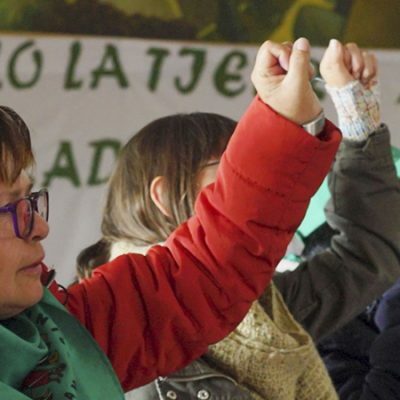 The ruling of the Ecuadorian Supreme Court is final and irrevocable, and therefore, the affected people will persist in their struggle for access to justice in other foreign jurisdictions until the damage is redressed.